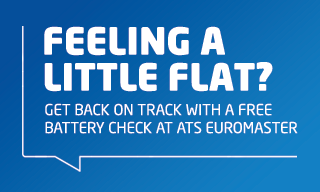 At ATS Euromaster we provide a wide range of car, van and leisure batteries so you’re never caught short without one. With more than 300 centres across the UK, we’re on hand to provide and fit a brand-new battery for your vehicle. If you’re not sure about your battery’s charge we can test it as part of our free vehicle health check or you can learn more about the signs of a dying battery. What is the difference between a car battery and a leisure battery? A car battery is found in all vehicles including vans, trucks and domestic vehicles. It stores energy created when the engine is running and perhaps most importantly is used to start the engine. A leisure battery is used in caravans to provide power to electrical amenities such as the lighting, television and radio. The leisure battery isn’t used to start the engine and is kept in an entirely different part of the vehicle. Car and leisure batteries are not the same type of battery so can’t be used interchangeably so if you’re about to set off on a caravan holiday make sure you check both batteries in advance.